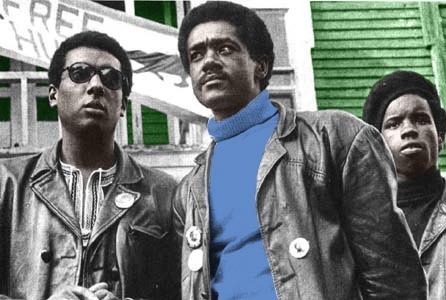 "We were like heros, to stand there and observe the police, and the police were scared to move upon us"
In October, 1966, in Oakland, California, the Black Panther Party, for Self-Defense was founded by Huey P. Newton and Bobby Seale. The Black Panthers fought to establish revolutionary socialism through the process of mass organizing and community based programs, such as their 10 point platform and program. The name was shortened from Black Panther party for Self-Defense to the Black Panther Party (BPP) and the word began spreading eastward through the Black urban ghetto colonies all throughout the country. The BPP its original name, the Black Panther Party for Self-defense was quickly stereotyped as purveyors of violence. To the white racists, The Panthers were resembled as outlaws, white-hating thugs, which couldn't all be true. 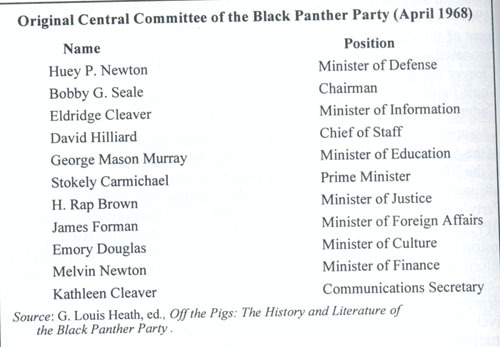 The BPP named themselves after the Black Panther, for a very good purpose, a very appropriate one for black people. Bobby seal stated "It is not the panthers true nature to attack anyone first, but when he is attacked and backed into a corner, he will respond viciously and wipe out the aggressor." The Panthers would arm themselves with weapons necessary to defend themselves. They would protect black ghetto citizens from police harassment and brutality. Panthers would arrive on this kind of scene, bearing their rifles and law books, so they could quote the section of the legal code being violated by the police, this way the Panthers had a reason to be defending the people and themselves. Huey Newton and Bobby Seale, were deeply fascinated in Malcolm X, and his emphasis self defense. His efforts to lead the struggle for freedom By Any Means necessary Inspired the Party greatly. They frequently quoted his famous statement, they believed appropriate for there condition: We should be peaceful law-abiding, but the time has come to fight back in self-defense when ever and wherever the black man is being unjustly and unlawfully attacked. If the government thinks I am wrong for saying that, then let the government do its job. The BPP were all intrigued with Malcolm X and his different theories to gain human equality. He had represented both a militant revolutionary, with the dignity and self-respect to stand up and fight to win equality for all oppressed races, nationalities, while he also stood as an outstanding role model. He was a man who sought to bring about positive social services, something the BPP would take to new heights in society. Panthers also instituted armed patrols. This was legal and the Panthers carefully avoided violated any laws. When ever the police were caught harassing ghetto residents, just as stated earlier, the panthers would rush to the scene, with their rifles and law books. If any arrested to made at that scene, other Party members would always try to raise bail money. Each Panther member always made sure to look out after one another. On October 15, 1967, the BPP wrote a 10 point program. 10 points of what they wanted and believed in. This platform and program was the Black Panthers goal to achieve for all blacks across America. When the words were spread, and the platform was published, it soon became known all throughout the ghetto streets and around the U.S. When the BPP party was first found there was six original members, and eleven members of the Central committee. Below is a list of names of the Original members. 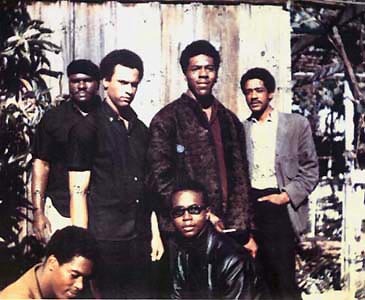 The Six orginal Panther members Panthers (November, 1966) Top left to right: Elbert known as the "Big Man" Howard, Huey P. Newton the Defense Minister, Sherman Forte, Bobby Seale the Panthers Chairman. Bottom: Reggie Forte and Little Bobby Hutton the Treasurer. 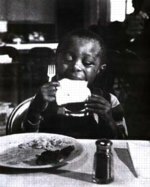 The BPP also provided a helpful program for hungry ghetto children. They provided free breakfast's for the children. This program gave others a different perspective of the party. Not that they were violent revolutionaries, but also, a group that cared about the lives of thier children. Aaaww..Who woulnd't want to feed such an adorable face? Later in time, Newton and Seale broke with Cleaver, the minister of Information, who continued to support black revolution instead of community programs. Cleaver, had later became the leader of the BPP. Newton became debilitated by his horrible use of cocaine and other drugs,and finally in 1974 he fled to Cuba to avoid the criminal charges of drug use. In that same year, Seale resigned from the party. Soon Elaine Brown, became the new leader of the BPP, and along with the men and women of the oarty, she kept them going. On August 22, 1989, Huey Newton is killed on the streets of Oakland in a drug dispute.